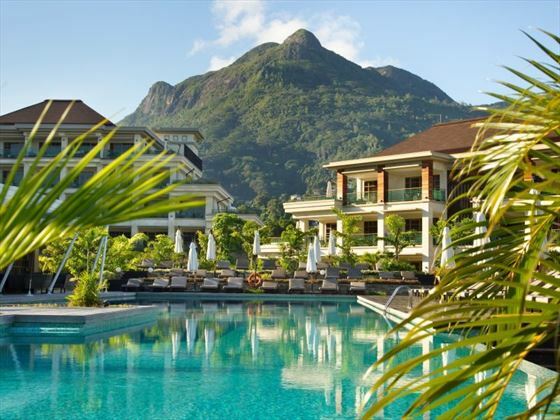 Whether you’re looking for a romantic getaway for two or a family holiday to remember, the modern and stylish Savoy Seychelles Resort & Spa has all you need. 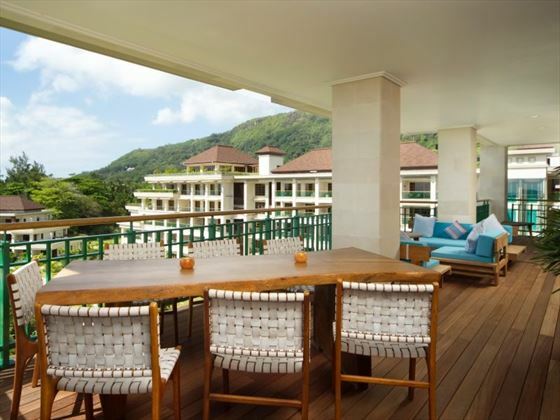 Nestled on one of Mahe’s most stunning beaches, Beau Vallon, this gorgeous retreat truly embodies the island lifestyle. Fancy soaking up the sun or exploring underwater? 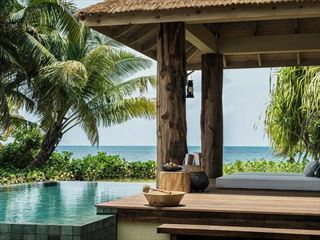 Savoy’s location lets you do both – with pristine stretches of white sand, and some of the best spots for snorkelling and diving, it’s your choice how you want to spend your time in paradise. 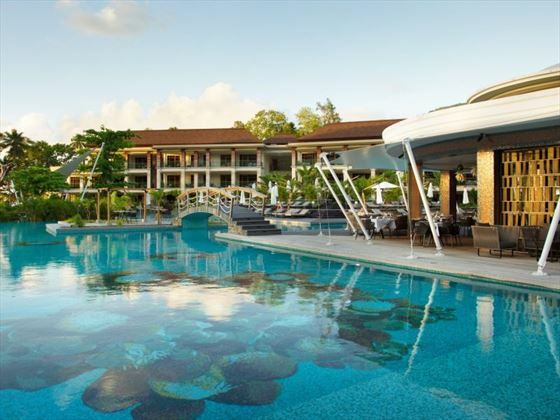 The resort is even home to the largest swimming pool in the Seychelles, so be sure to take a dip and swim up to the Ocean Deck pub for a draft beer or fruity cocktail. 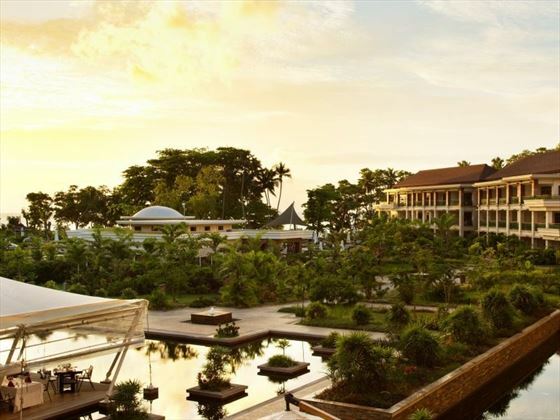 In the evenings, you’ll have a choice of delicious international cuisines, including Pescado with its fresh seafood and Mahek with its traditional Indian fare, or treat yourself to in-room dining in your fabulous, elegant suite. 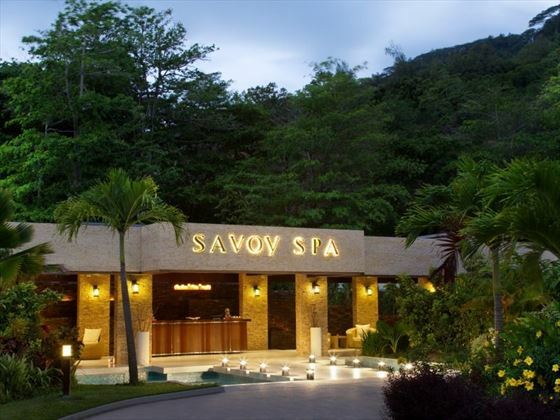 Don’t forget the Savoy Spa either, with holistic treatments to awaken your senses. 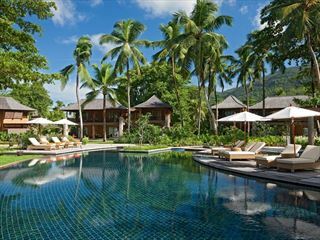 This gorgeous retreat is nestled on Beau Vallon beach, one of the Seychelles’ most beautiful beaches and well known as a base for diving and snorkelling, thanks to its crystal clear waters and colourful coral reefs. 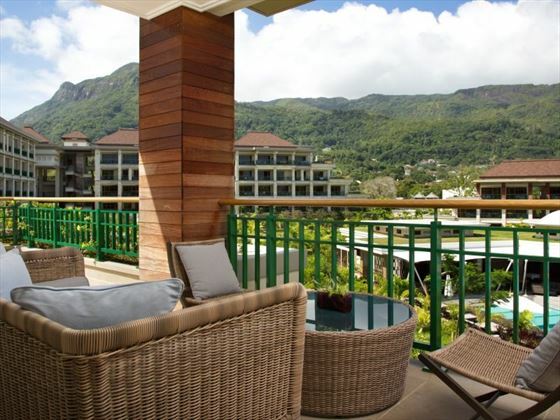 The resort is nestled on Mahe’s northwest coast and only a 15 minute drive from Victoria, the Seychelles’ capital city, which offers vibrant markets, charming botanical gardens, and colonial buildings. 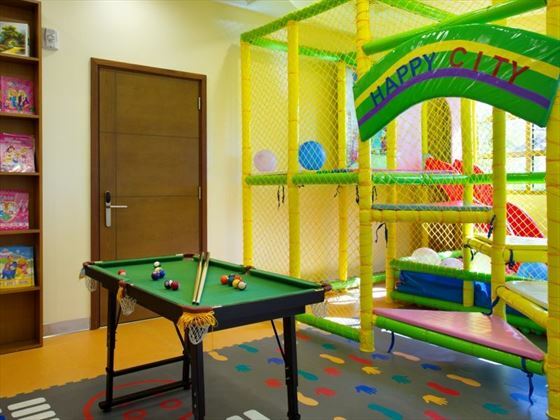 The location’s ambience is low-key and intimate, though you’ll be sure to find lots of thrilling water sports around. 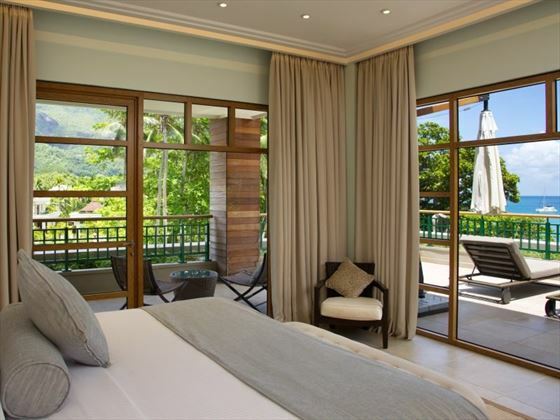 Savoy King/Twin Rooms – Elegant 51sqm rooms featuring a king size bed or two twin beds, plus a private furnished balcony or terrace overlooking the resort gardens and ocean. Sleeps a maximum of three adults, or two adults and one child. 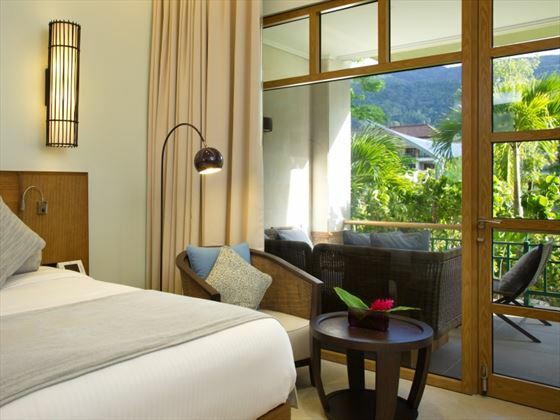 Junior Suites – Sophisticated 60sqm suites, featuring a king size bed, a balcony or terrace, and a comfortable living area. Sleeps a maximum of three adults, or two adults and one child. 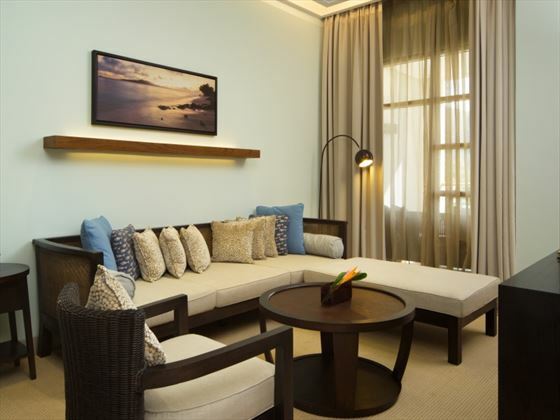 Savoy Suites – Spacious 80sqm suites, with a private furnished terrace overlooking the ocean, plus a separate lounge. Sleeps a maximum of three adults, or two adults and one child. Savoy Penthouse – Extravagant 190sqm suites featuring two bedrooms, a separate living area, a fully equipped kitchen, and a large private terrace with Jacuzzi, daybed, and picturesque views of the gardens. Sleeps a maximum of four adults, or two adults and two children. 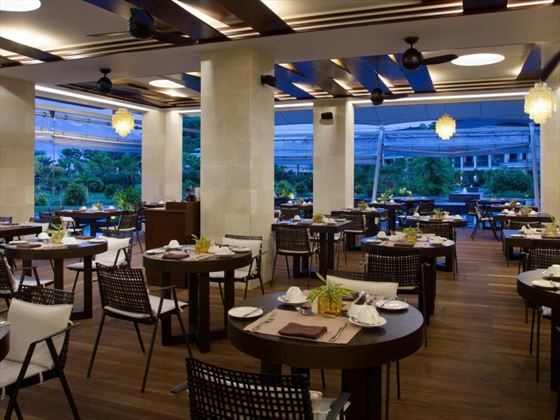 Grand Savoy – Enjoy authentic international cuisine with pretty indoor and outdoor seating. Serving a top class buffet and various themed nights. Open 7.30am-10am for breakfast, and 7pm-10.30pm for dinner. Pescado – The resort’s speciality restaurant, offering fresh seafood straight from the ocean to the kitchen, with a great menu created by Michelin star chef Gennaro Avagnale. Also serving an extensive wine list and cocktails aged in French oak barrels. Cocktail bar open 12.30pm-11pm, tapas bar open 12.30pm-4pm, and restaurant open from 7pm-11pm. Beach Bar/Gecko Bar – A fantastic cocktail bar serving tropical smoothies, infused rums and homemade Sangrias. Offering a diverse menu of burgers, grilled seafood and salads, plus a Creole BBQ every Wednesday, Arabic night every Friday, and BBQ specials on Sundays. Open 10am-1am, with food served from 12pm. In-room Dining – Enjoy specific dishes in the comfort of your accommodation. Limited items are available from 11pm-7am. Ocean Deck Pub – Located next to the pool, this brilliant bar offers draft beers, exotic cocktails, and fabulous views of the ocean. Open 11am-11.45pm. Mahek Restaurant – A flavoursome Indian gourmet restaurant and show kitchen, serving authentic Indian cuisine in traditional antique crockery. Open 12pm-2pm for lunch, and 7pm-9.45pm for dinner. 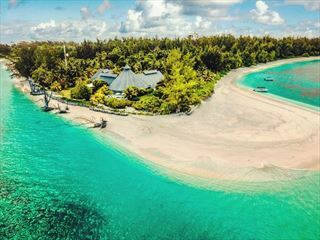 The Island Trader – Diverse buffets for breakfast and dinner, with amazing views of the ocean and North Island in the distance. Open 7am-10am for breakfast, and 7pm-10pm for dinner. 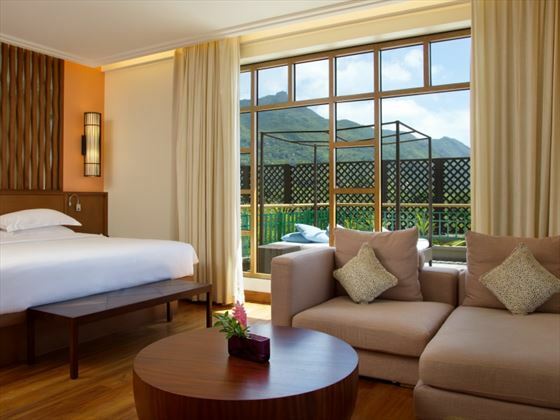 Savoy Spa – Awaken your senses at this beautiful well-being spa. The treatments here take you on a sensory journey, using massages, body scrubs and facials to transform your mind, body and soul. The spa also offers yoga, pilates, meditation and personal fitness training. Up to 20% discount off the double rate (when Bed and Breakfast board booked). A copy of a valid Wedding Certificate is required upon booking and check-in, no older than 6 months.